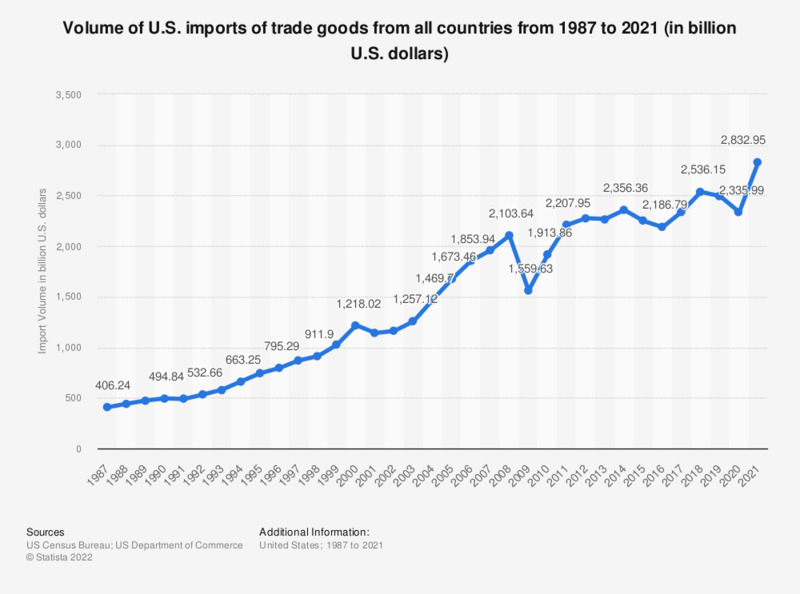 This graph shows the growth in the U.S. import volume of trade goods from all countries from 1987 to 2018. In 2018, U.S. imports from the rest of the world amounted to approximately 2.5 trillion U.S. dollars. Seasonal adjustment is a statistical method for removing the seasonal component of a time series used when analyzing non-seasonal trends. Whereas, not-seasonally-adjusted reflects the actual current data. It is normal to report not-seasonally-adjusted data for current unemployment rates. Seasonally adjusted data may be used for the longer term comparison.